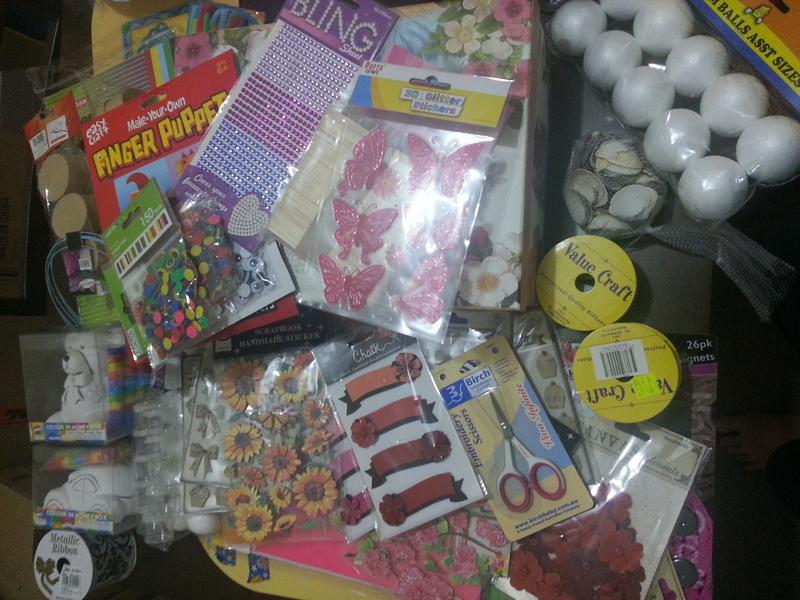 Today was very fruitful in the cardmaking department for me. I actually had a reasonable sleep without waking up drowsy from medication. I also had to go to the shop early to get cat food, so I ended up staying up for a while, being productive for once. I set YouTube to crafting Christmas card videos, and let the inspiration flow. I didn’t have the same momentum watching other videos, even drawing videos. Crafting videos have a nice vibe, like you aren’t crafting alone, and I even begin to talk to the video. 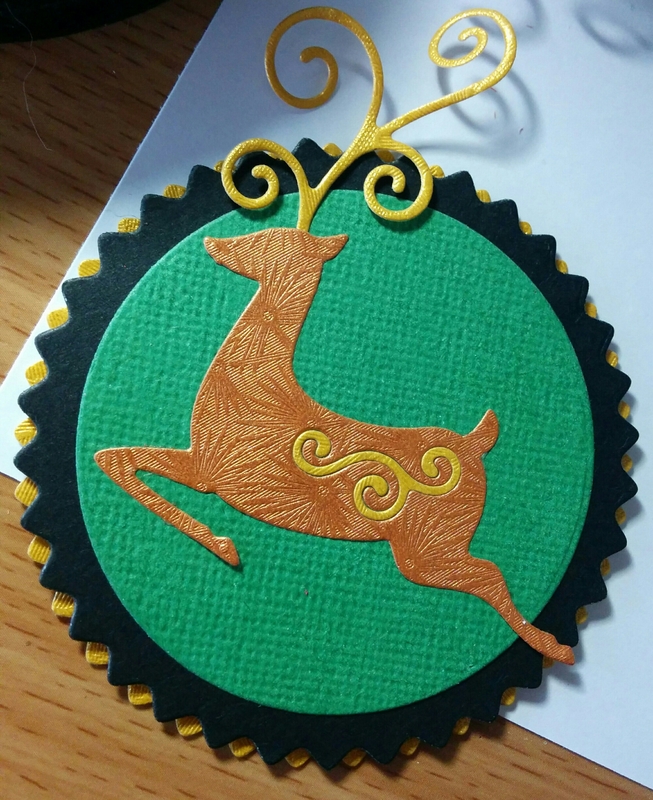 I had some great die cutting ideas and put together some embellishments together, like the reindeer pictured above. 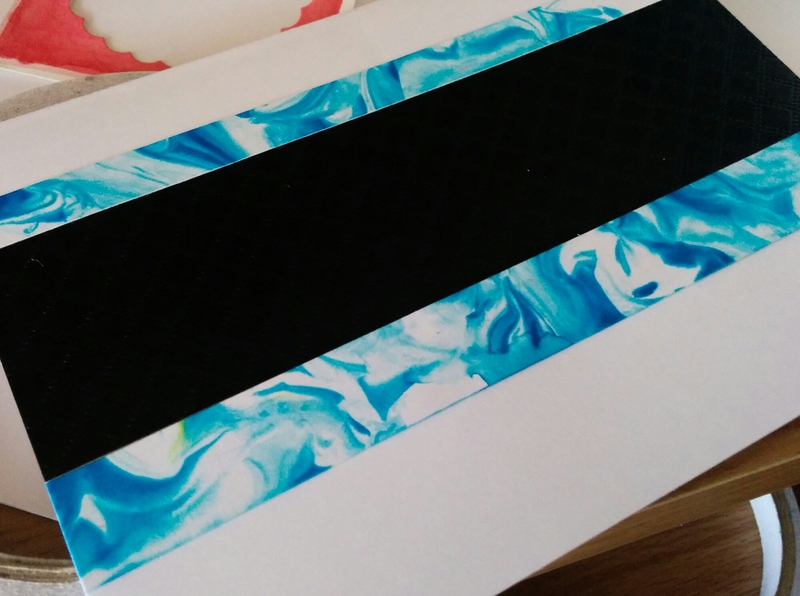 I tried a bunch of different ideas, including watercolouring areas of to diecut, mixing papers and making my own marbled paper using shaving cream. I had seen this come up on Pinterest and various places, and kept meaning to try it out, which I did finally today. It was a bit tricky to stand up at the sink for long, but I managed to make four A6 pieces before I needed to rest. The colours are food colouring, which is so vibrant, and works just like watercolour. I was concerned about it fading, but I had trial pieces from last year that haven’t changed colour. The only time there was an issue was it burning and turning brown under the heat gun tool. I ended up giving each piece a thin layer of matte sealant, as the colours were able to be reactivated with water and I wanted to protect them. As long as I didn’t stay in the same place, the colour didn’t lift too much. I cut some of the paper into strips, and others into tags, but I have a lot left to play with. 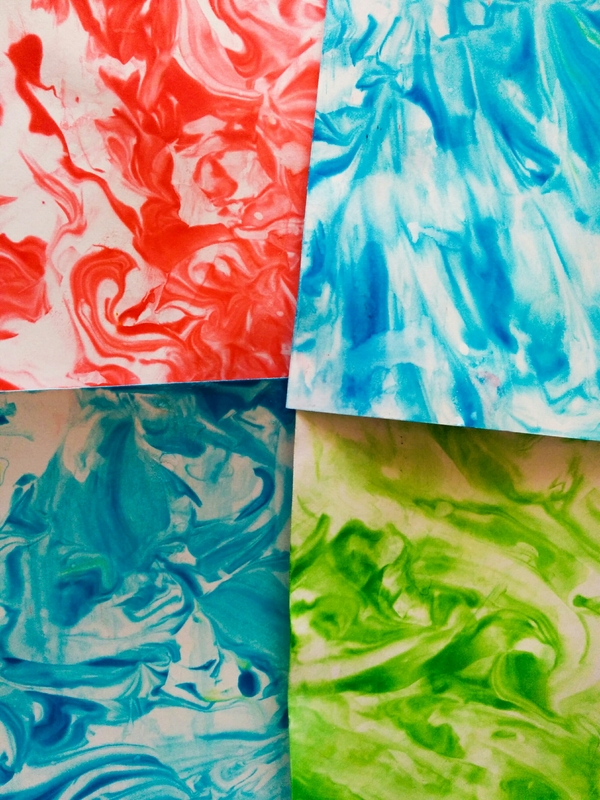 This technique is so easy, you could do it with kids, just look up ‘shaving cream marble paper.’ I urge you to try it, it’s very magical. 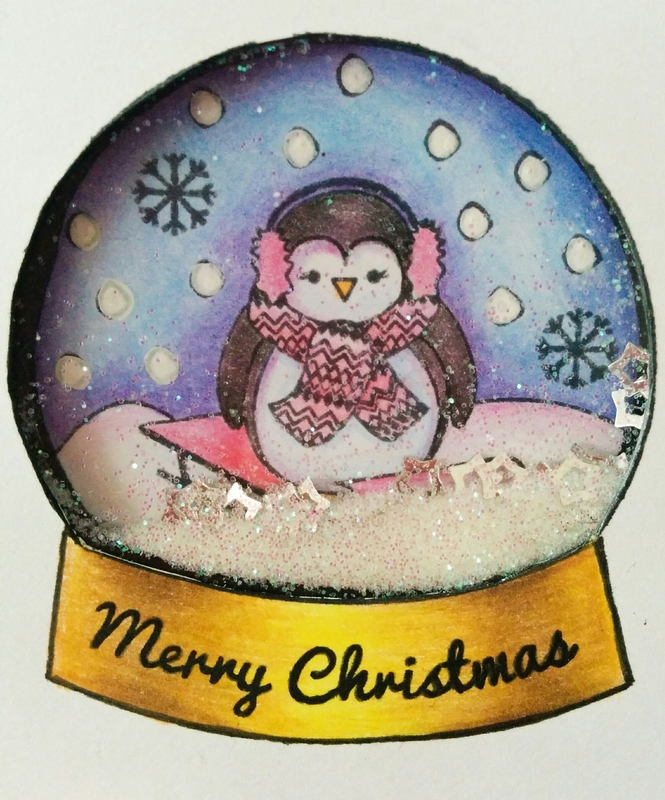 Here’s a shaker card that I made with a snow globe stamp that I received with my latest magazine purchase. I coloured the inside on one piece of paper, and the base on another. Using black fun foam, I could disguise any wonky cutting by colouring around my image in black, so the seam is invisible and just looks like a shadow. I like how it works just like a dry snow globe would. Perhaps if I was braver. I’d use liquid soap and glitter in a bag and attach it to the card, but I’m too nervous it would break, and ruin everything before I’ve given it away. Hopefully I can keep up this momentum, and get the rest of the cards done soon. Christmas always creeps up on me. I have a couple of problems. Try as I might, I haven’t been able to make a scratch paper that works as well as on the store bought paper. The oil pastels give great colours, but not much detail. On clear packaging plastic bags, I can get the detail, and I can layer it onto patterned paper, but I need to glue it together somehow. I’ve tried contact, plastic, foil paper and gouache, alcohol ink, water based ink and acrylics. I’m even trying watering down the acrylic and adding more layers. The reason I want to make my own paper, is that I’m running out of the bought paper, and they don’t sell it where I found it anymore. Getting the artist quality is really expensive (I think it’s called Tiger paper.) Maybe I’ll look for some online. Anyway, I figured out that I can make nice embellishments, that are protected from wear, by scratching small images, then using resin dome stickers, and trimming them out. These will be nice to use on cards, I think. I did a pile of embossing this morning, ready for cards. I’m not one for planning cards ahead of time, so I just embossed random images in random colours, so I can pick them out from a box and cycle through ones until I find an image that matches, or is close enough that I can see what size and colours will fit. I only finished one card today, so I’d better up my game, but in my defence, I wasn’t feeling great. At least I have some embossing and embellishments ready for future cards, so wasn’t all wasted time. I was waiting for a call today, that never came, but while I was waiting, I decided to cut apart one of the cupcake decorations, to see how many I’d get out of it. 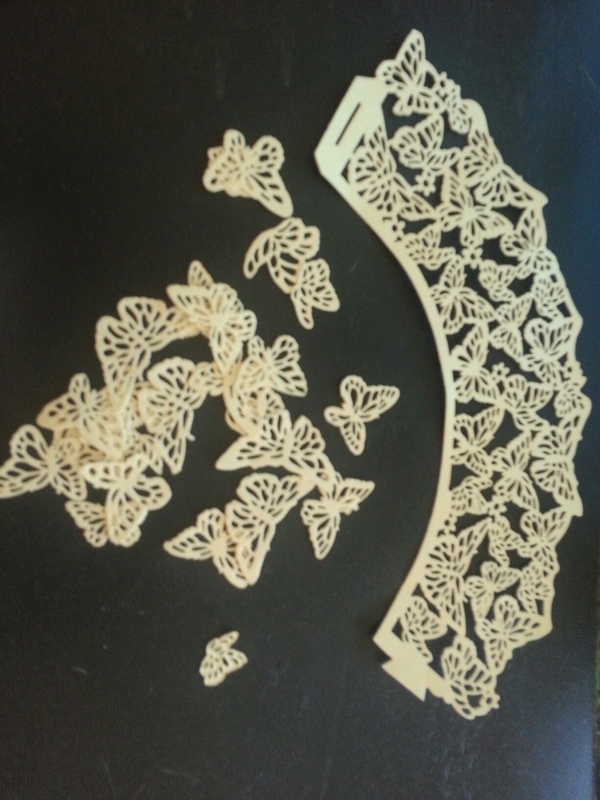 I thought I’d clip off a few wings trying to get complete butterflies, but with a small amount of effort, I was able to divide all the butterflies cleanly. I remembered after yesterdays post that I had seen a lady in a video, a while ago, who kept a box on her desk of things that she’d bought but hadn’t used yet. This might be a good idea for me, as I tend to put things away and forget that I have them. Also being on your desk, makes you more likely to use them, in theory. I think I will need two boxes. One for new things to play with and one for current projects. I often get half way through a project and lose pieces, or have to stuff it in a box for inspection… I mean clean up. Perhaps I need a few bags so I can rotate projects and plan new ones, and put things together as I find them. I’ve seen a card maker do this with folders, but I’m not only working in 2D. The troubles with being a multicrafter are plenty. Sneak peeks. Just because I need to blog once in a while. 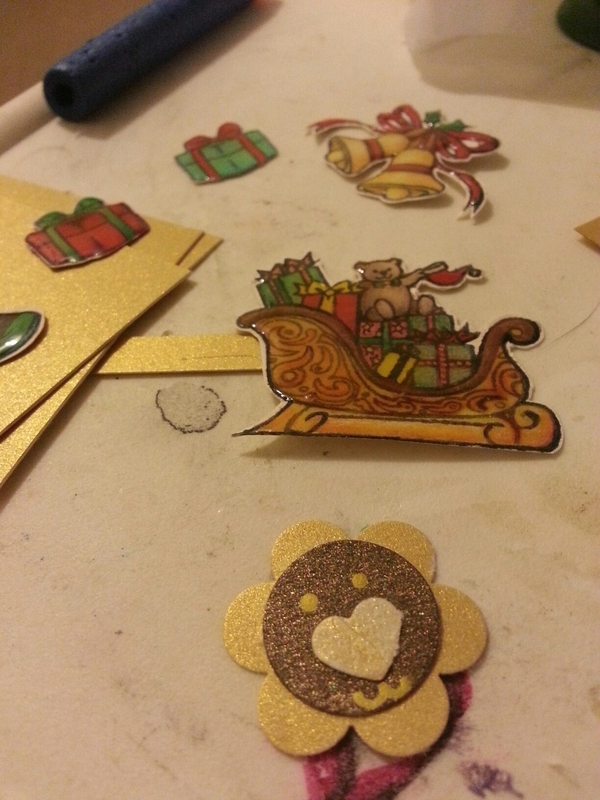 The Christmas themed pictures are for a special card that I’m making. They are stamped, coloured and glossy accented. As for the little lion in the front, while I was shopping, I saw a simplistic lion themed box. It’s simple shapes reminded me of punched shapes, so I whipped up a version of what I saw. I think the nose should be smaller, proportionally, and the mane should be bigger, but it was the best I could do without getting my die cut machine out. I was more focussed on actioning the idea before I lost it. I think he’s cute anyway. 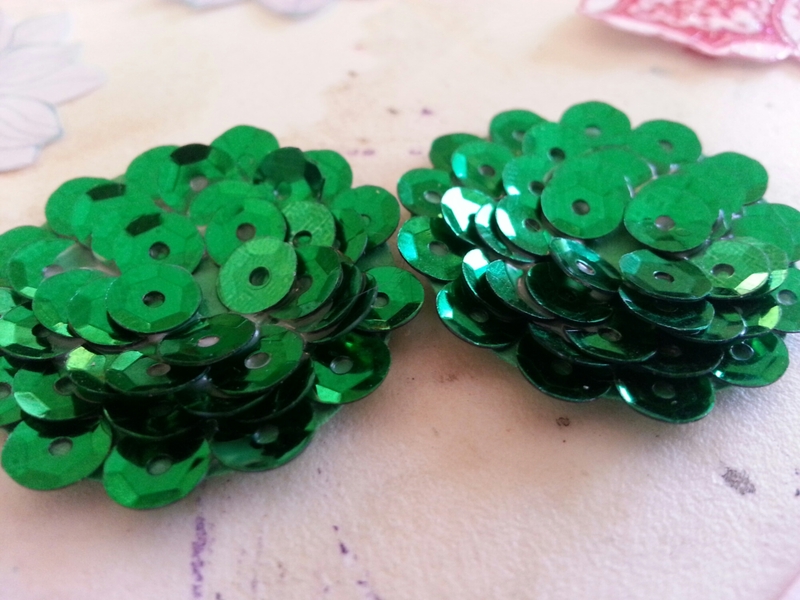 More sequin embellishments! 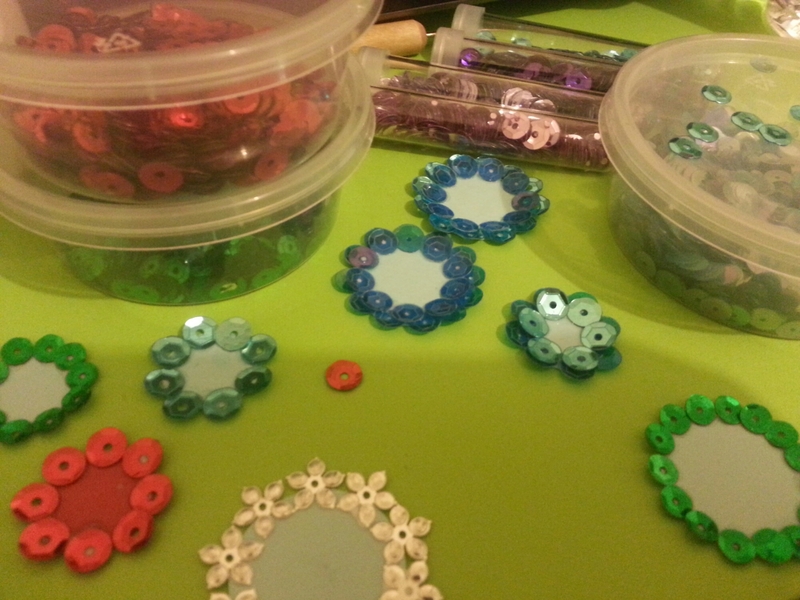 I got a few more colours of sequins, so I started making more circles. Using the flower shaped sequins look quite good. I can’t wait to see how they turn out with more layers. I also bought a heart paper embosser, some wooden shapes (including butterflies : ), some metallic starry paper, Christmas wrap and a couple of heart stamps that I’m yet to try. I also had to get some replacement blades for my Fiskars paper trimmer, that I’ve only had since June, so six months. I guess I do use it a fair amount and replacement blades come in a two pack which is nice. I was in the library, looking at sewing books, and saw buttons that had been covered with little embroidered images like bunnies and snails. They were so cute, that I looked through my stash of buttons to find ones with shanks that I could cover. There wasn’t nearly as many as I thought there would be, but enough to play around with. That way I can figure out what size and type of button will work best and buy some more. 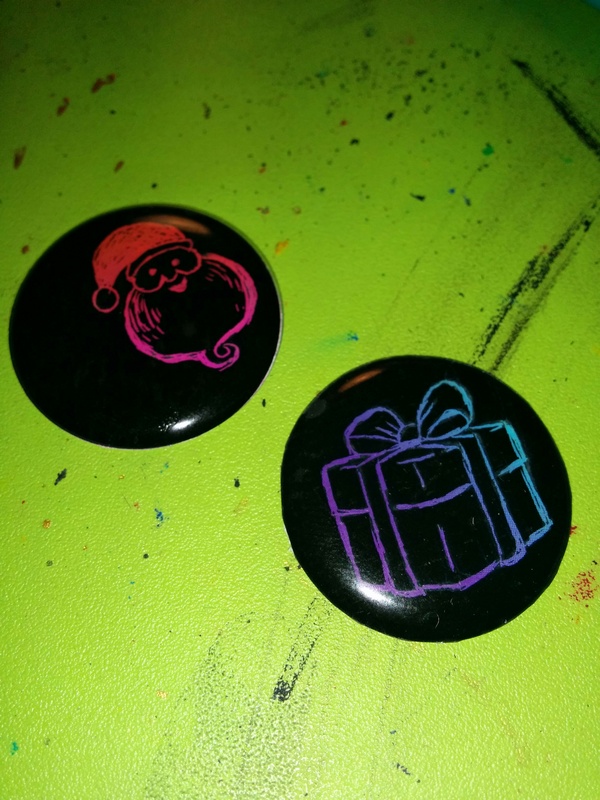 I could even get buttons made for covering, but no point in spending extra money unless I have a use for them. 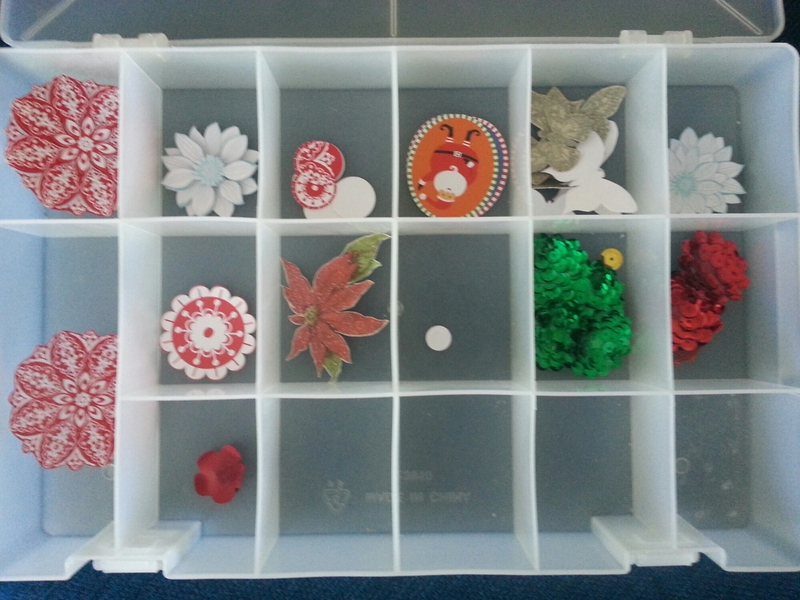 Today I decided I needed to keep all my embellishments together, as I usually have them scattered around and usually end up on the floor or lost someplace and I can’t use them. Lucky I had a couple boxes empty from being in the middle of bead sorting. I just have to be careful not to bend some of the larger ones, or store them in the large box that I keep cutouts in. This way I can easily see what I have and set it out in a way that all I have to do is mix and match and glue. I’ve started cutting rectangles that fit on the card bases as a background and embossing, cutting and punching pieces that will be the building blocks of the cards. This would be great to do year round, making whipping up a card quickly much easier. 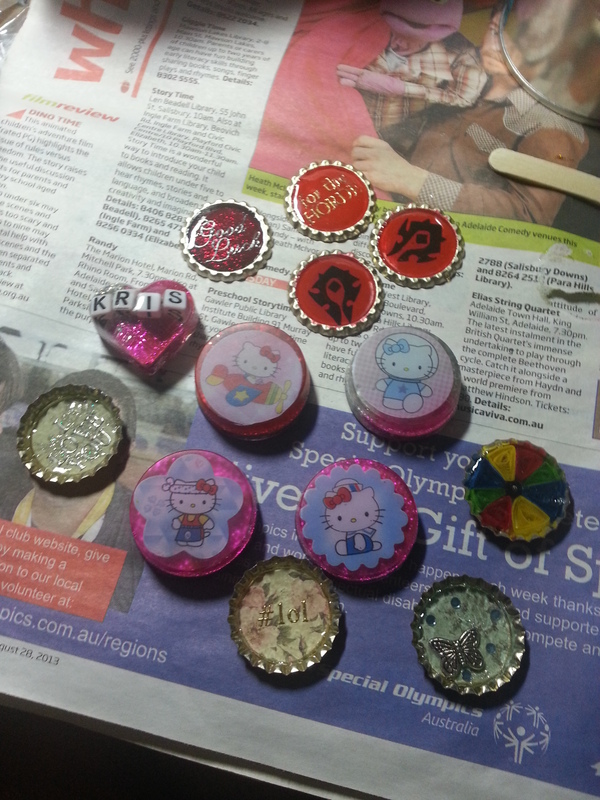 You get the time saving craft, with personal embellishments that you made when you had more time. A lot of people make cookie-cutter cards, making them all the same. This would be quicker, but I’ve never been one for repetition in crafts and if the recipients open them at the same party, they’ll all be special. I really try to like sequins. But I don’t like them when they are just by themselves, stuck to a card, with their hole for everyone to see. Maybe with a rhinestone or a bead would be OK, but they seem weird to me all naked. 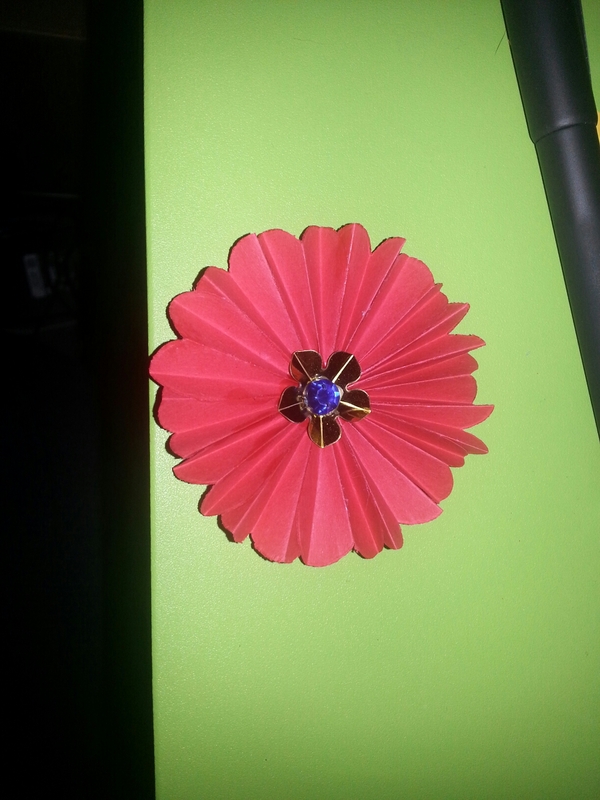 What I do like with sequins is these flower like embellishments that I found on youtube. When done nicely, you cover all the holes and its all symmetrical. It’s easy to do, though can get fiddly and sticky unless you have tweezers. You can use any size sequins and circle. I even started doing a large one on a canvas. Just draw your circle and glue sequins over in to cover the line and the rest just lines up. I made this yesterday, but it used a lot of glue, so it looks better now. Usually, you’d concertina a long piece of card, but I had a bunch of heart cut outs, so I started folding them without knowing what to do. I was watching YouTube, so I wasn’t paying much attention to what I was doing. So I need up with quite a few, so I glued them together. I was almost all the way around before I realised it would have been easier to have a card circle as a base, so I went and found my circle punch and glued it all down. After trying different combinations of sequins and gems for the middle, I settled on the gold and blue, although purple looked nice, too. I began by attacking the felt. 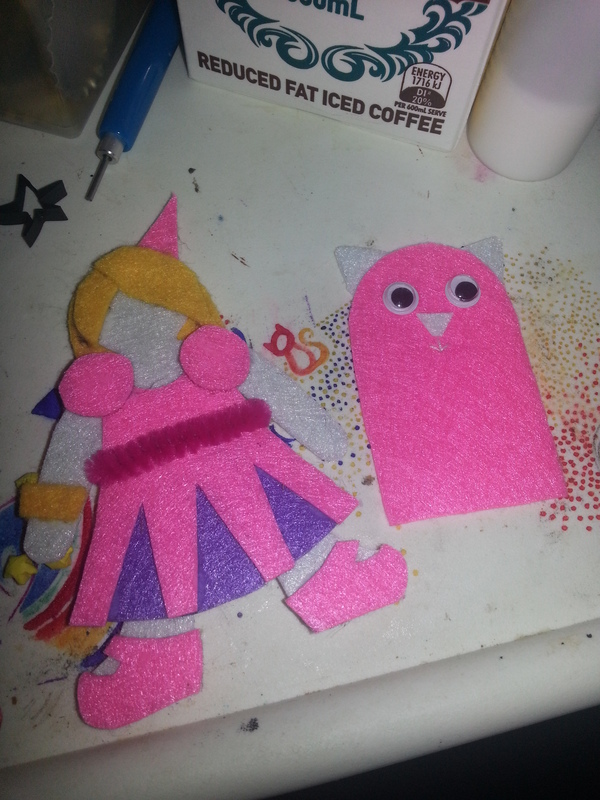 The package said ‘princess colours,’ so I made a princess with the pink, purple and white felt from the pack, and added some blonde hair. 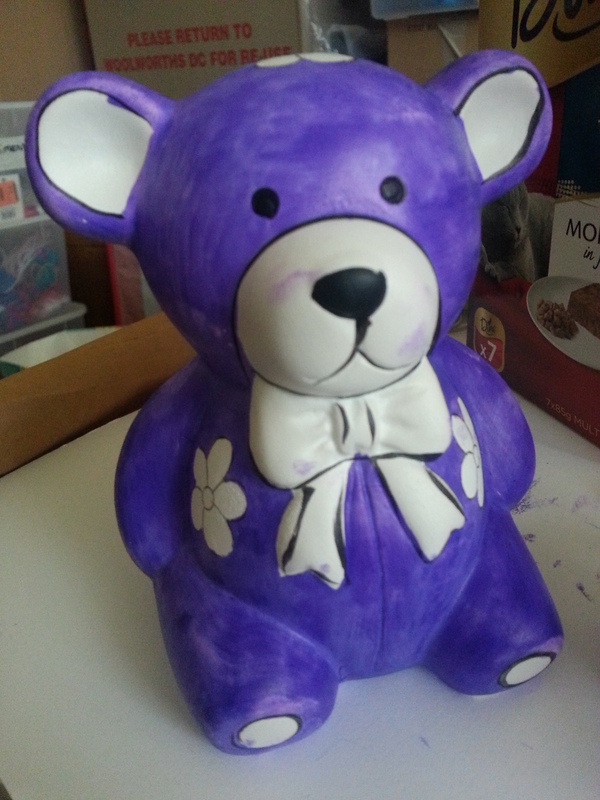 after pottering around, I began colouring in one of the diy money boxes I got. I decided to use the markers that came in the kit, not expecting it to go far, but I managed to cover the whole thing in a base colour. The problem was that being child proof, means washable and takes a long time to dry, so I had purple fingers for the afternoon. I was thinking of covering him in rhinestones. depends how bored I get. Finally, I unmasked my resin pieces and attempted doming on bottle caps. Some worked, some didn’t and the resin began curing in the middle of pouring, so some are a coagulated mess, with pock marks from failed bubble popping. I got the measurements wrong again, and the stickers moved, and the glitter turned a weird colour. But some pieces came out lovely… until I put fingerprints into them. But I should be busy for a while, especially with Christmas card season coming up.